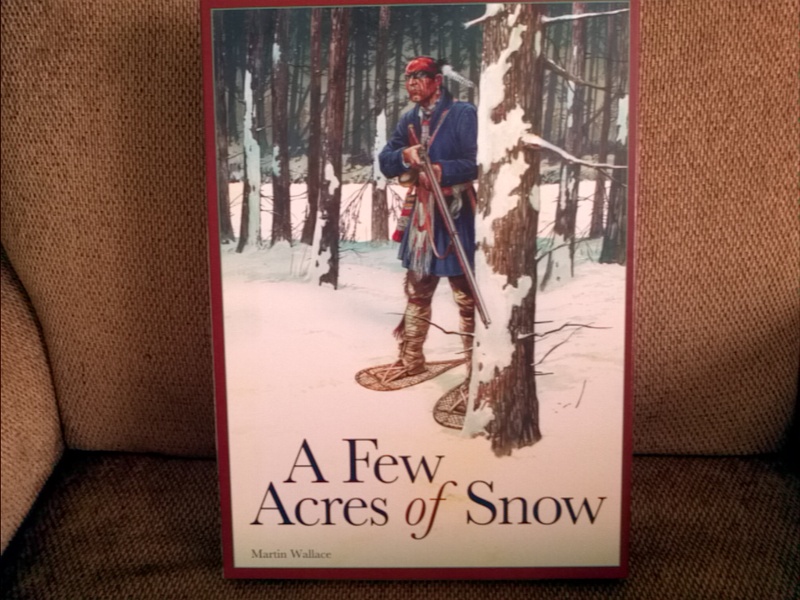 A Few Acres of Snow is a 2-player card-driven game about the French and British conflict in North America. It won the 2011 Golden Geek aware for 2-Player Board Game and Innovative Board Game, and Best Wargame . And it’s card engine is inspired by Dominion. Sounds fabulous – I love Dominion and innovative game designs. I’ve been very curious about this game, eyeing it for the past two months. I’ve tried to negotiate more than one trade on the BoardGameGeek, but most people were hanging onto the game. Finally, over lunch this past week, my good friend and I stopped in at The Griffon and I picked up a copy. While I haven’t played it, the rules are impressive; Not in the crushing amounts of actuarial tables, but in the breadth of options. The rules speak to military sieges, raids, settlers, commerce, supplies from the homeland, fortifications, etc. And at the end, a military historian provides a 3 page summary of the factors leading to the conflict, and how the random nature of the “Dominion” type deck creates the delays and unpredictabilities of ridiculously long supply lines (i.e. Europe giving orders by ship to the Americas). Now the question is, will I be able to play this game with anyone? 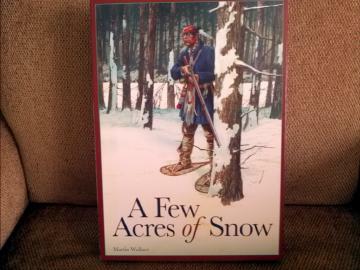 Just Arrived - A Few Acres of Snow by Jeremy Friesen is licensed under a Creative Commons Attribution-NonCommercial-NoDerivatives 4.0 International License. Based on a work at https://takeonrules.com/2012/01/21/just-arrived-a-few-acres-of-snow/. Permissions beyond the scope of this license may be available at https://takeonrules.com/more_permissions/.